Henrietta Yurchenco, 2006. Photo: Sashenka Lopez. On today’s show we remember my dear friend, Down Home Radio co-founder Henrietta Yurchenco, who passed away on Dec. 10th, 2007 at the age of 91. 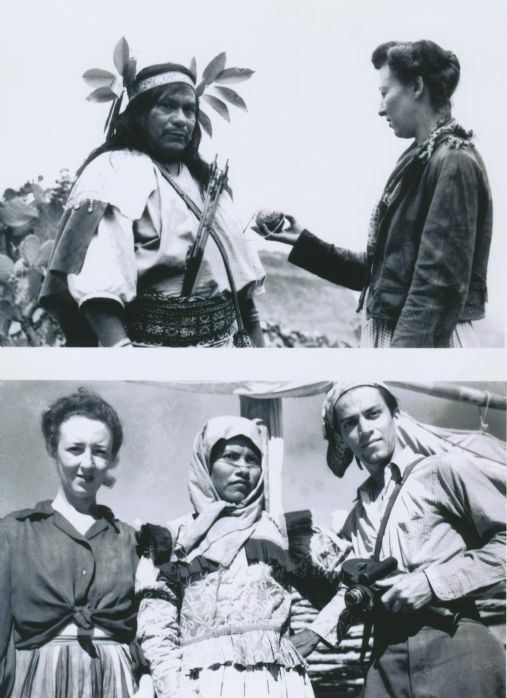 Henrietta was a pioneering ethnomusicologist who starting in 1944, hauled hundreds of pounds of recording equipment on mules through the rugged Sierra mountains and lowland deserts of Mexico to make the very first recordings of indigenous music from that country. She was also a pioneer in the field of folk music radio, hosting shows on WNYC starting in 1940 and later WBAI and WNYC again through the 1960’s. She gave Pete Seeger his debut on radio, often had Woody Guthrie on her programs and served as Leadbelly’s producer for his radio program. Later, in the 1960’s she had Bob Dylan and many other performers and scholars of that era on her show. Henrietta was Professor Emerita at the City College of New York, where she taught ethnomusicology for many years. I met her when she was 89 and we had a great time doing this show together and generally hanging out in the last 2 years of her life. She was a tremendously accomplished person who over a very long career left an amazing musical and historical legacy, some of which has been preserved for us to hear. For a short history of her career read my essay, her obituary from the New York Times, her excellent autobiography, or visit her website. Every year on the anniversary of her passing I will be bringing out some amazing treasure from her archives for us all to hear as we remember this remarkable woman. Due to this years fund drive this show is a bit late, but I’m happy to bring it out now. Today’s show is an episode of Henrietta’s 1960’s radio show, “Adventures in Folk Music” for WNYC here in New York. It features Henrietta interviewing a wonderful singer from the Georgia Sea Islands, Mable Hillary (1929-76) who was very involved in the Civil Rights and Peace movements and eventually moved to New York City where she taught in the public school system. Hillary was an amazing singer and performer of blues and unaccompanied songs, as well as traditional game songs and their dances. She performed in the Georgia Sea Island Singers along with Bessie Jones and others. As a side note, I find the contrast of Hillary’s voice and the guitar work of her accompanist to be interesting, beautiful and in several instances quite unique. [L] Henrietta in Mexico, 1940’s. 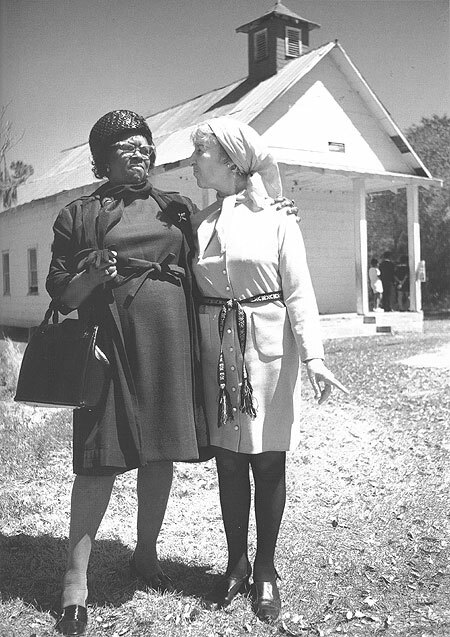 [R] Henrietta Yurchenco (right) and an unidentified woman, near Zion Methodist Church, St. John’s Island, South Carolina. March 1970. HEAR! more from Mable Hillary and others at a 1965 concert in Central Park courtesy of the Association for Cultural Equity. READ! more about Mable Hillary at the Association for Cultural Equity’s website. And don’t forget to check out the Down Home Radio advert in the Old Time Herald Magazine – www.oldtimeherald.org – lots of great articles, reviews and more! 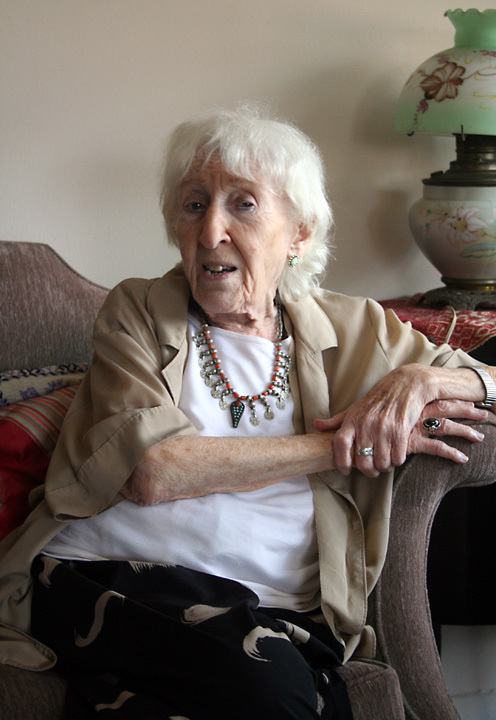 Last December, Down Home Radio co-founder Henrietta Yurchenco passed away at the age of 91. I met her when she was 89 and we had a great time doing this show together and generally hanging out in the last 2 years of her life. She was a tremendously accomplished person who over a very long career left an amazing musical and historical legacy, some of which has been preserved for us to hear. For a short history of her carreer read my essay, her obituary from the New York Times, her excellent autobiography, or visit her website. Starting now I will begin to bring out some of the things from her archives which I have or can get my hands on. In this entry I am re-posting a very remarkable show we did in January of ’07, airing a radio show Henrietta produced for WNYC in 1940 at the beginning of her career – It was Leadbelly’s show, and that week the guest was Woody Guthrie. This amazing show was recorded in excellent quality, preserved and found by the archivist at WNYC! We re-aired it together with Henrietta’s comentary 67 years later. So look out for more excellent material from the Yurchenco archives, as well as all the shows we hosted here on Down Home Radio. This week Henrietta and Eli discuss outlaw ballads and how criminals are transformed into popular heroes. In conjunction with that and of extra special interest, they rebroadcast a show Henrietta produced for WNYC radio back in 1940. 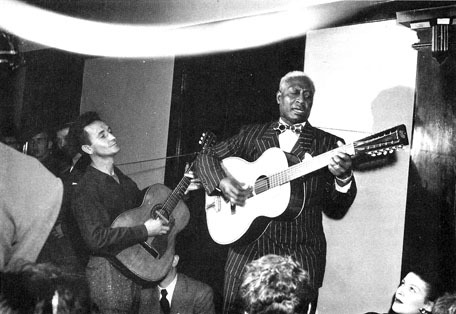 It is Leadbelly’s show and he has as his guest, Woody Guthrie. This program has not been heard since it was first broadcast 67 years ago! Down Home would like to thank WNYC and archivist Andy Lanset for providing us with this rare material. I am very sorry to report that Henrietta Yurchenco, my friend and co-creator of Down Home Radio, died on the morning of Monday Dec. 10th at the age of 91. Although she had not been feeling well for some time, her death was never-the-less sudden and shocking. She was an extraordinary person, incredibly full of life, energy and love for people and for music. Henrietta leaves behind untold numbers of friends, devoted students and people who she influenced in any number of ways. The value of her work documenting and promoting the indigenous cultures of Mexico, the United States and many other parts of the world is extraordinary. The Down Home Radio project was not Henrietta’s first time around with radio, it was more like her fourth or fifth, and yet she approached it with all the zeal of someone a quarter her age. Henrietta started her radio career in late 1939 as a producer at WNYC here in New York. She produced a series of programs featuring American folk music and music from around the world, and was also the producer of Leadbelly’s radio program. She worked closely with Leadbelly preparing the scripts for the show and doing whatever else producers do! She arranged for Pete Seeger’s first radio appearance as well as Woody Guthrie’s first radio appearance in New York. It was not easy to find foreign ethnic bands at that time or even to get recordings, so in order to get talent for her world music radio shows she would hit the streets, casing ethnic community houses and restaurants, union halls and other places to find musicians to put on the air. Henrietta was back on the air for a short time in the late 50’s on WBAI, and then for almost all of the 1960’s on WNYC where she did a show called “Adventures in Folk Music.” On this program she did the first, or one of the first, radio interviews with Bob Dylan. Name almost any folk musician (and many “non-folk” musicians and other artists) of the last 60 years and Henrietta had them on a radio show at one time or another. That or they came to one of her famous parties, or appeared at a concert she produced or all of the above.